If you’re reading this you probably care deeply about the environment and make thoughtful decisions every day that align with these values. Well done! It’s easy to pass on these values by choosing gifts for family and friends that tread lightly on the planet. 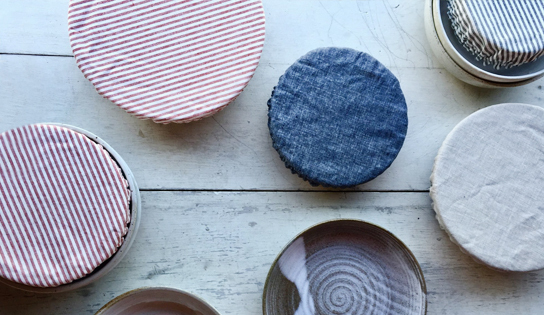 Ditch plastic wrap for good with these beautiful, reversible Ambatalia cloth dish covers. Handy and machine-washable, they’re designed to cover a bowl of food on the counter waiting to be served or ready to take out to a dinner party. Gift these waste-free bowl covers with other useful, reusable options for leftovers like Abeego beeswax and U-Konserve stainless steel containers, and give the gift of no more plastic wrap! Refillable glass bottles from June, together with recipes for homemade cleaning products, are a thoughtful gift. Include lemons, essential oils, baking soda, vinegar, Castile soap and Unpaper Towels for a complete waste-free cleaning kit—and there’ll be no need for expensive, potentially toxic cleaning products for every job in the house. Say goodbye to single-use plastic bottles with this eco-friendly idea. 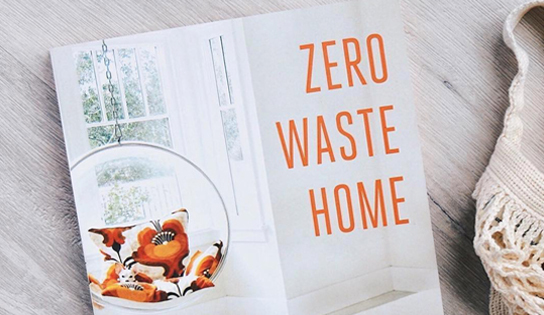 Written by Bea Johnson, who inspired many of our products and has kick started the current global movement to reduce waste, Zero Waste Home is the go-to book for anyone eager to learn how to live more sustainably. Read how she transformed her family’s life by reducing their waste to an incredible one liter per year. Get practical, step-by-step tips to reduce your environmental footprint and simplify your life by eliminating waste from your daily routine. We never leave home without these two essentials, and our guess is that your friends and family shouldn’t either. This U-Konserve insulated stainless steel tumbler keeps coffee hot and green juices cold while on the go. 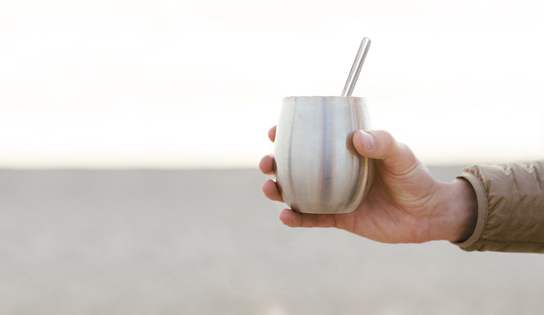 And considering that 500 million plastic straws are used every day, one reusable stainless steel straw will save thousands of single-use straws from piling up in landfills and harming wildlife. 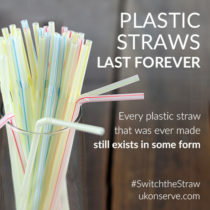 Plastic straw bans are taking the country by storm as the plastic pollution movement grows—these two must-haves will make a cute set and keep everyone on your list prepared. Eliminating plastic bags at the grocery store is challenging, and nearly two million of them are used every minute. They wreak havoc on our wild lands and wildlife, so eliminating them from our shopping routine should be a priority. 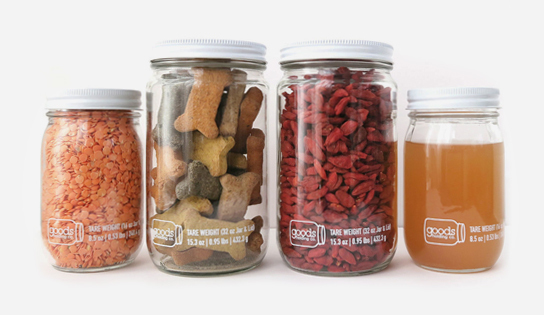 Goods Holding Company makes a glass option for bulk bin shopping with tare weights printed on every jar. 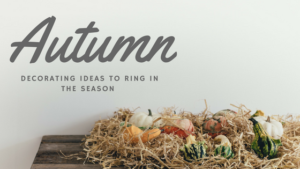 They’re sturdy, leak-proof and can be purchased as a kit that includes an organic cotton tote with separate sections to nest each of your jars so they won’t tip. Bar soap is a favorite of ours for reducing plastic bottles in the kitchen and bathroom. Dr. Bronner’s biodegradable Castile soap is made with certified fair-trade ingredients and packaged in a post-consumer recycled wrapper. 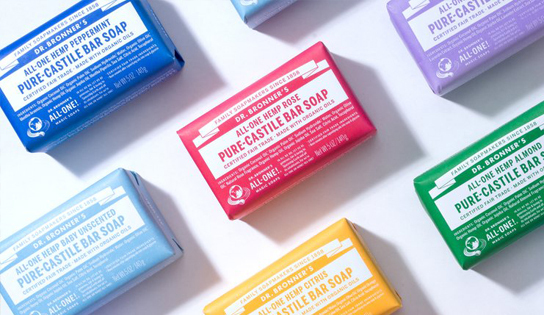 Their soaps come in eight scents, all without synthetic preservatives, detergents or foaming agents. 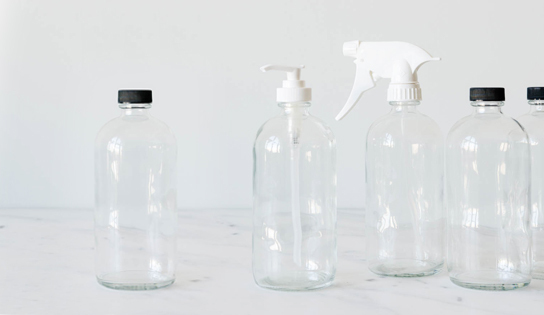 Say goodbye to liquid dish soaps, hand soaps and body washes packaged in plastic bottles. Gift a zero-waste bathroom kit with bar soaps, an Albatross plastic-free razor from Package Free Shop, and the compostable toothbrushes below! 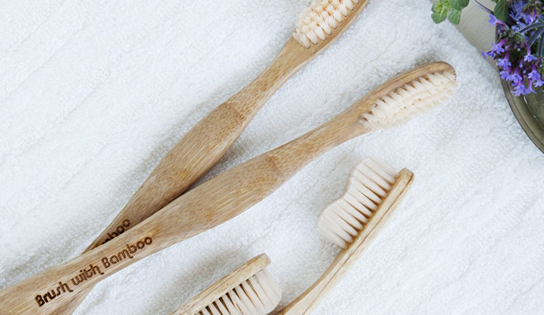 Brush with Bamboo is the world’s first plant-based toothbrush. The certified organic handle is made of sustainable bamboo, the fastest growing plant on earth. After a bamboo stalk is harvested for toothbrushes, another stalk takes its place and grows to full size within two years. The toothbrush comes in a compostable wrapper also made from plants and the outer box is made from paper and is also biodegradable—no tape or glue is used. For more eco-friendly ideas, see sustainable stocking stuffers, and ways to purchase with a purpose this holiday season. For DIY zero-waste holiday gift ideas, click here. 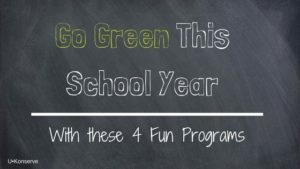 Go Green at School this Year with these Fun Programs!